By joining the team at TorFX you can become part of an award-winning company which has been recognised nationally for its customer-first approach and rapid year-on-year growth. Our group currently employees over 300 highly-skilled individuals and we’re always looking for driven candidates to help us maintain our position as the UK’s number one International Money Transfer Provider. 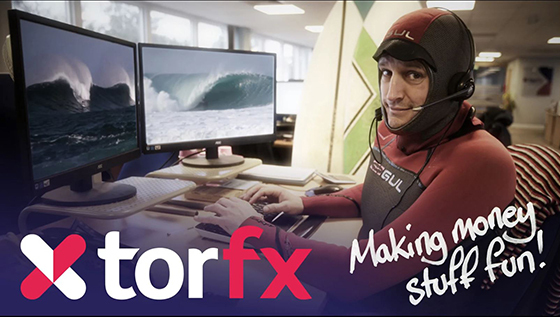 If you like the sound of TorFX, please get in touch or send your CV to careers@torfx.com. Who will I be working for? We’re one of the UK’s leading international money transfer providers, the largest independent employer in Penzance and the 2016 winner of Best Employer at the Cornwall Business Awards. We’ve been around since 2004 and we’ve grown massively over the last 13 years – join our team now if you want to grow with us. With this position applicants have the chance to join the Business Development Team of a well-established and expanding company. As Business Development Support, the successful applicant will support sales by re-activating existing partnerships by phone and by email. They will also be responsible for administration tasks, including producing monthly reports using the company’s CRM system and dedicated partner platform. The role offers the chance for progression and is a great opportunity for the right candidate. The position is with one of the largest independent employers in Cornwall. The company has grown consistently year-on-year since its establishment in 2004 and has won a number of local and national awards – including Best Employer and Customer Focus.